Is there anything better than juicy peaches and tart cherries with a crumble (or is it cobbler?) topping? Yes! 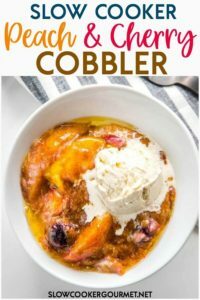 When it’s topped with ice cream and is easy to make like this Slow Cooker Peach and Cherry Cobbler! If a dessert is composed of two kinds of fruit then that means it must be pretty healthy right? Okay fine but somehow I still feel so much less guilty eating an extra serving of it! The fact that you can whip up this delicious dessert in a matter of minutes and let your slow cooker do all the work? Well, that’s just all the more reason to make this a little more often! 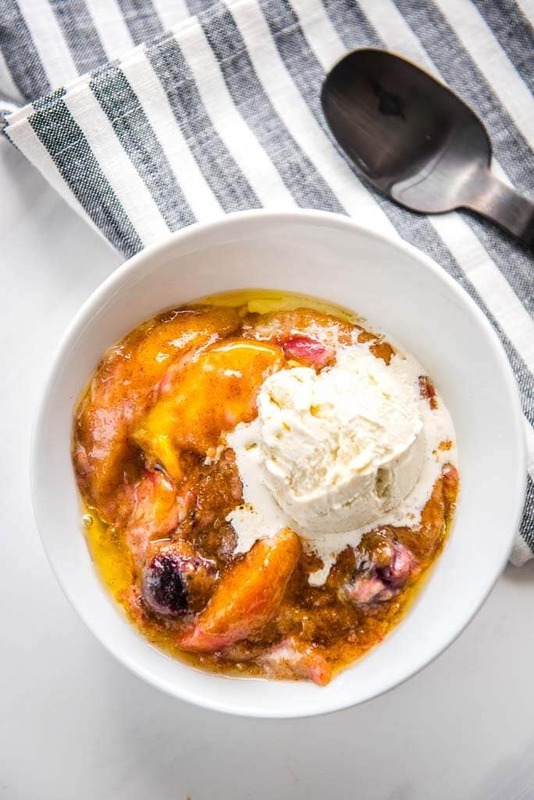 How do you make a peach crumble in the slow cooker? 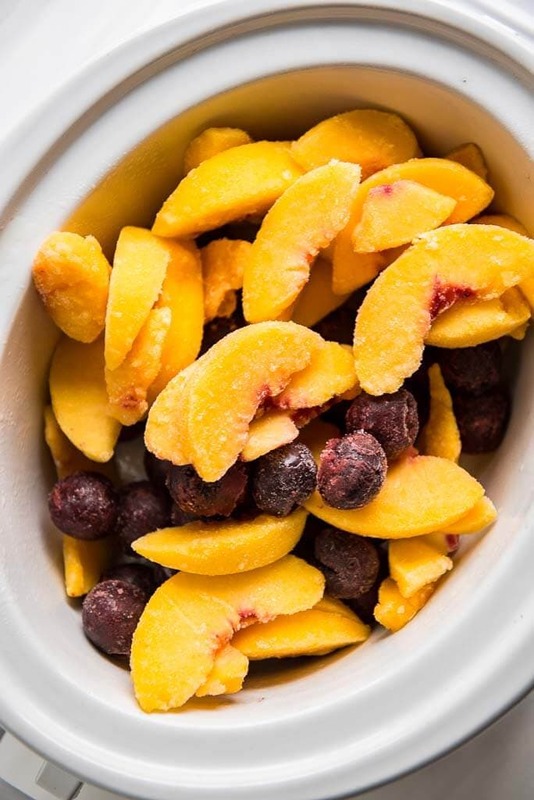 Use frozen fruit to make this super easy. If you have fresh fruit on hand to use up then by all means but I think frozen is pretty fabulous too! The peaches were juicy and already cut up and I didn’t have to mess with taking the pits out of my cherries. My kind of dessert making. Toss it all in the crock and go! 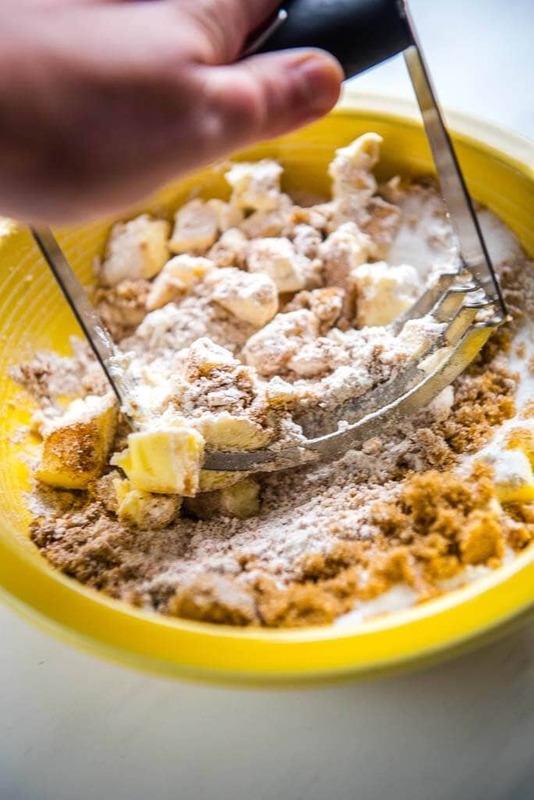 Serve it up with a little ice cream (is there anything better than melty ice cream along side a warm fruit crumble?!) or even just some whipped cream. Delicious and perfect for a hot summer (or early fall) day! 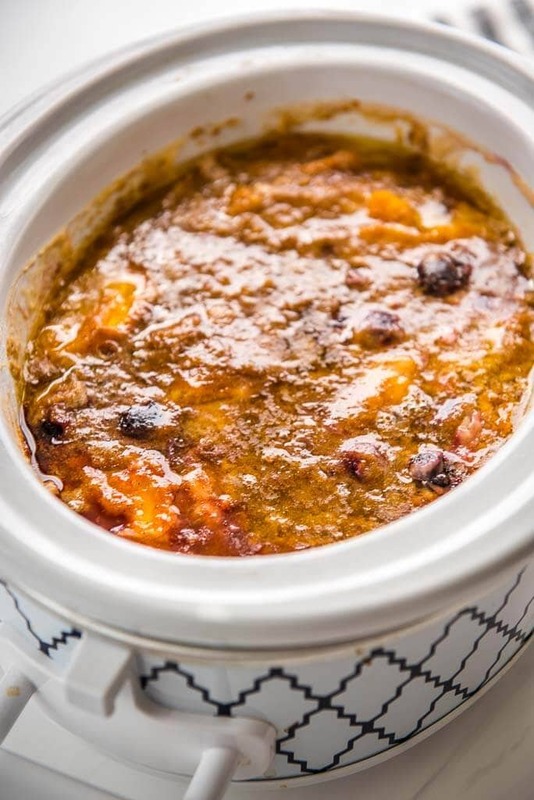 What do you need to make this Slow Cooker Peach Cobbler? Is there anything better than juicy peaches and tart cherries with a crumble (or is it cobbler?) topping? Yes! 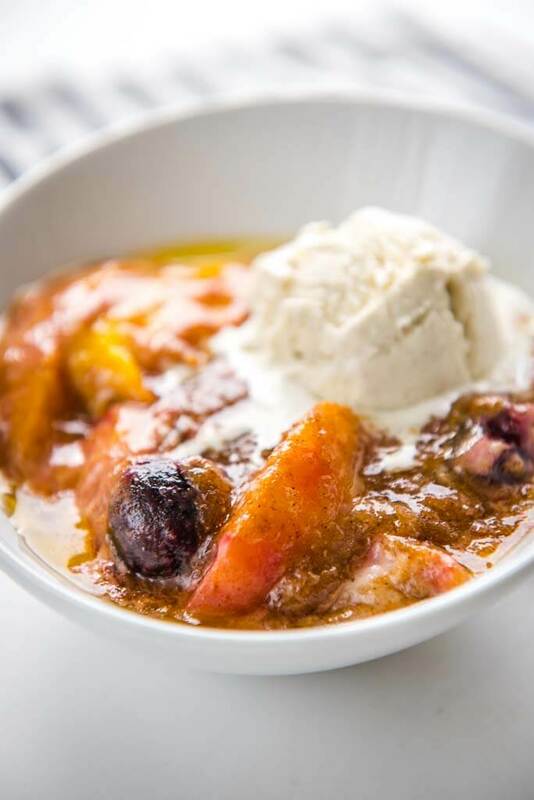 When it's topped with ice cream and is easy to make like this Slow Cooker Peach and Cherry Cobbler! Check out the recipe from A Year of Slow Cooking here. This dessert looks so good and moist. I will definitely give it a try. Thanks 🙂 Be sure to let me know what you think!